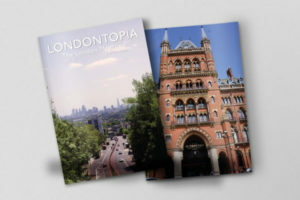 You are here: Home / Columns / Laura's London / Laura’s London: Charles I: King and Collector – Royal Academy Exhibition Review – New Exhibition Alert! 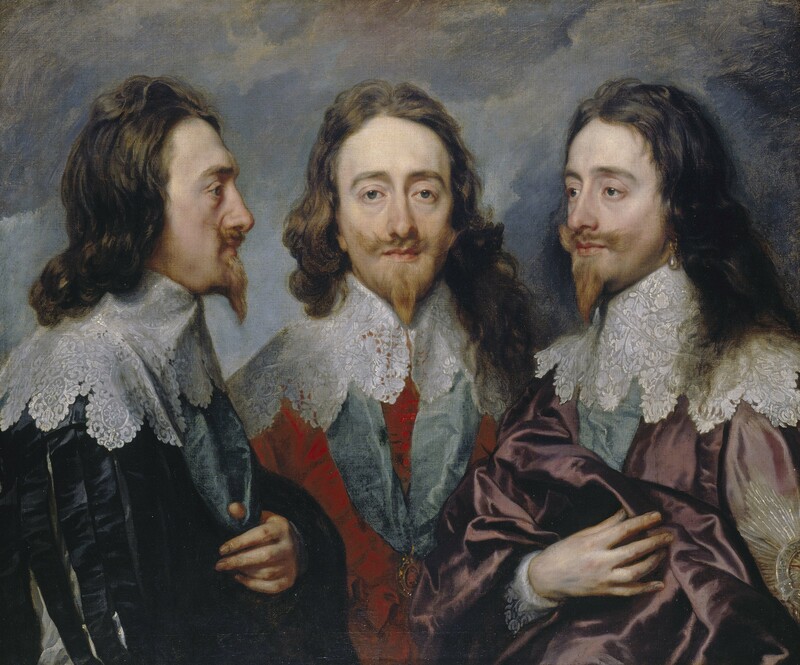 Charles I had one of the most extraordinary and influential art collections. For the first time since the 17th century, this landmark exhibition at the Royal Academy has brought together the astounding treasures that changed the taste of the nation. 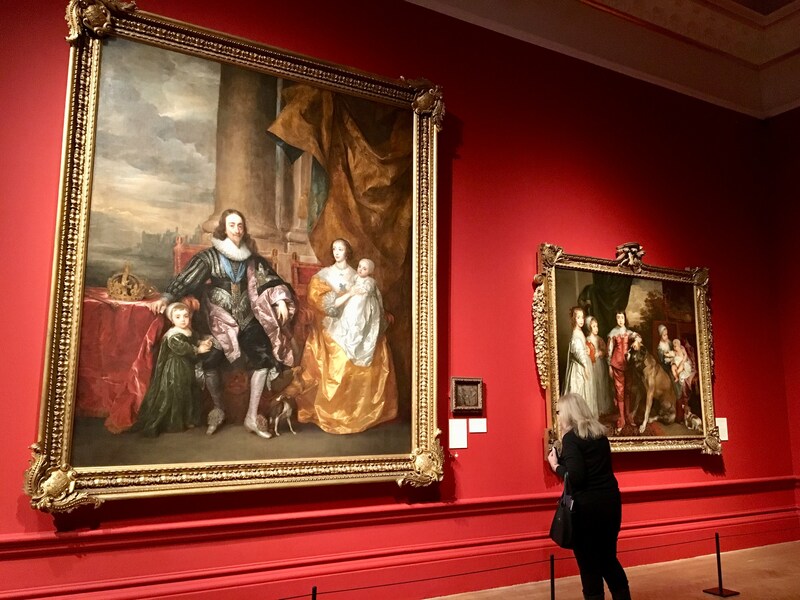 Charles I: King and Collector reunites 140 of the most important works of art, ranging from classical sculptures to Baroque paintings, and from exquisite miniatures to monumental tapestries. Even before he became king, Charles I (1600-1649) acquired works by some of the finest artists of the past – Titian, Mantegna, Holbein, Dürer – and commissioned leading contemporary artists such as Van Dyck and Rubens. Yet, following the king’s execution in 1649, his collection was offered for sale and scattered across Europe. 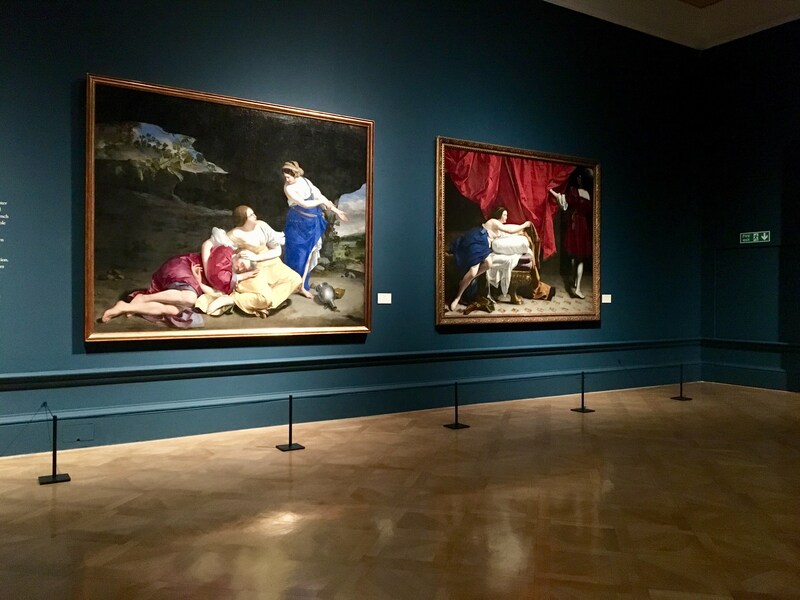 While many works were retrieved by Charles II during the Restoration, others now form the core of museums such as the Musée du Louvre in Paris and the Museo Nacional del Prado in Madrid. Over 90 of the works here have been generously lent by Her Majesty The Queen from the Royal Collection. 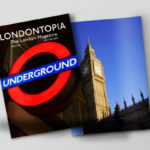 Major lenders also include The National Gallery in London, the Musée du Louvre, the Museo Nacional del Prado as well as numerous other public and private collections. 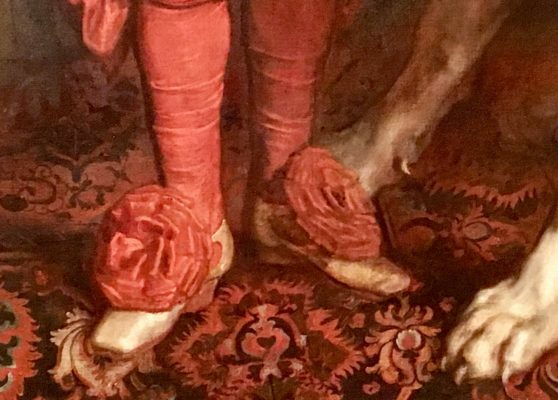 It has taken many years to plan this exhibition so it’s wonderful timing to have The Queen’s Gallery’s Charles II: Art and Power exhibition on at the same time. 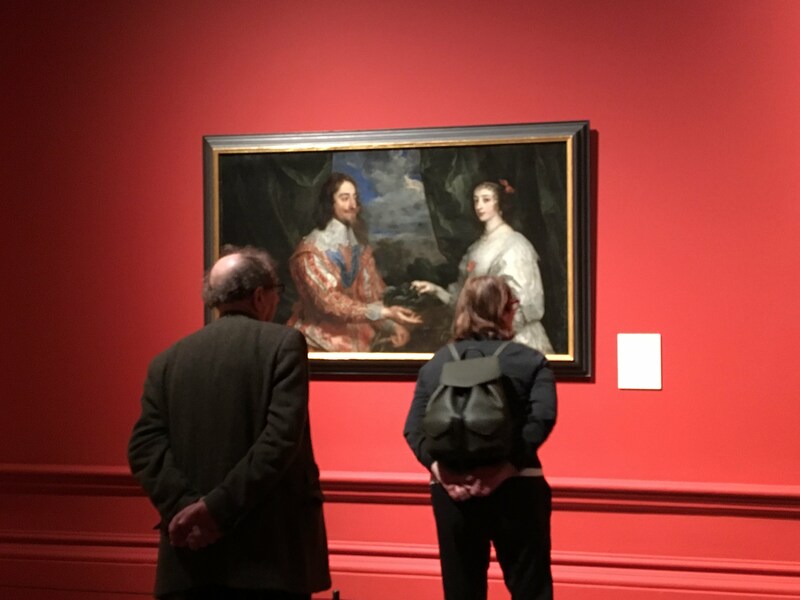 Charles I: King and Collector is presented by the Royal Academy of Arts in partnership with Royal Collection Trust. 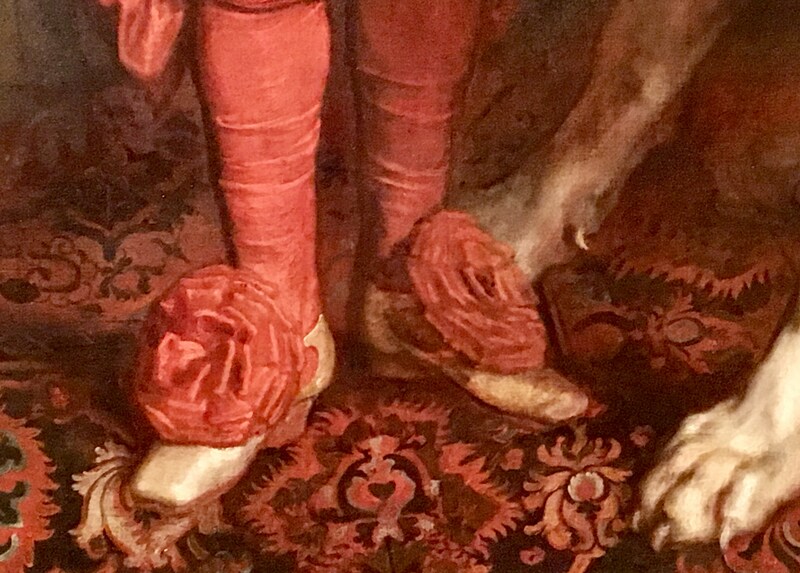 Charles I amassed a collection unrivalled in the history of English taste in collaboration and competition with other collectors close to the Stuart court, namely Thomas Howard, Earl of Arundel (1586-1646) and George Villiers, Duke of Buckingham (1592-1628). Do look at the painting captions for details on where it was displayed, such as “Little room between the Breakfast Chamber and the Privy Gallery”. Charles I was king of England, Scotland and Ireland, whose conflicts with parliament led to civil war and his eventual execution. He was born in Fife, Scotland, on 19 November 1600, the second son of James VI of Scotland and Anne of Denmark. On the death of Elizabeth I in 1603 James became king of England and Ireland. He was the second of the Stuart kings. Charles was a weak child and possibly suffered rickets so had difficulty walking. A quiet man, he was only around 5 feet tall and had a stammer. Charles became Prince of Wales and then king in 1625. Three months after his accession he married the Catholic Henrietta Maria of France. They had a happy marriage and left five surviving children. Charles was a very religious man and he preferred church services to be grand and full of ritual and colour. This was to lead to a clash with many in England who preferred plain and simple services. 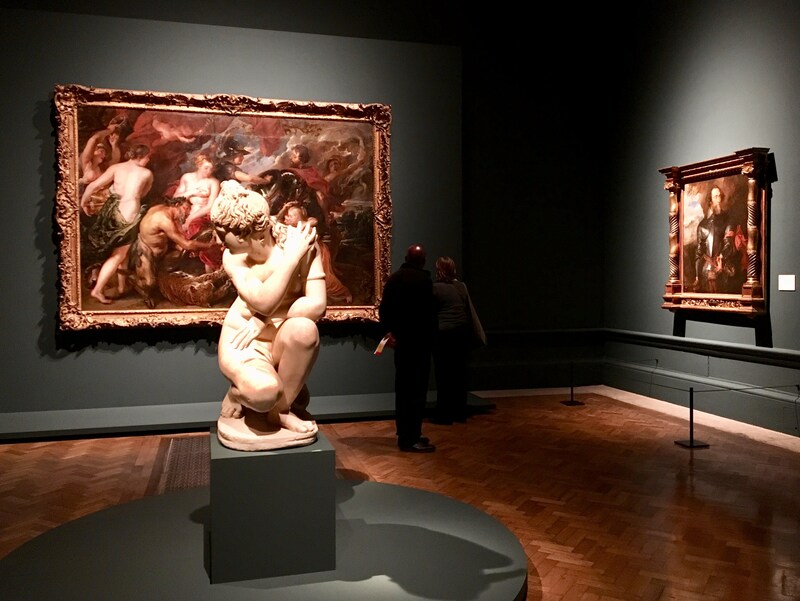 Van Dyck and Rubens painted in England at his invitation and Charles spent a fortune on paintings by the masters such as Titian and Raphael. His collection of art, though impressive, also helped to put him in a very difficult financial position. Religion, finances and overseas wars led to ongoing tension with parliament. The English Civil War started in 1642 and it was to lead to the execution of Charles I in January 1649. This was the first time in English history that a king had been put on trial. Charles believed that he was God’s representative on earth and therefore no court of law had any right to pass judgement on him. Charles, therefore, refused to defend himself and was sentenced to death. After walking around the twelve galleries I immediately felt how big this exhibition is and how impressive. The stand-out piece in this first gallery is Charles I in Three Positions by Anthony van Dyck. 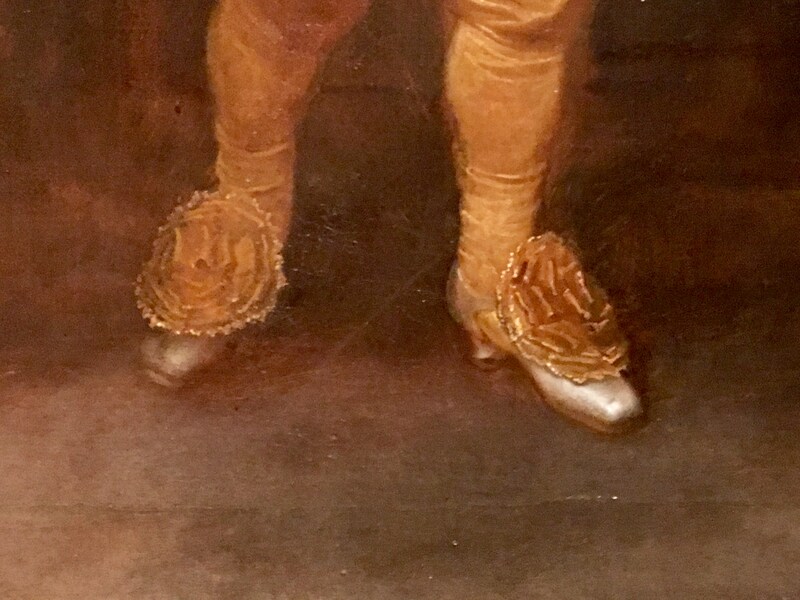 The heads in the painting are drawn and modelled with a care and restraint unusual for Van Dyck. The colours of the costumes and pattern of the lace collars are different in each portrait, though the blue Garter ribbon is present in all three. The lace detail is particularly impressive and worth seeing in real life. Van Dyck had presumably been influenced by Lotto’s Portrait of a Man in Three Positions (Vienna, Kunsthistorisches Museum), which was in Charles I’s collection at this time. The King’s portrait in turn probably influenced Philippe de Champaigne, who in 1642 painted a Triple Portrait of Cardinal Richelieu (London, National Gallery) to assist Bernini (or another sculptor) with a bust of the Cardinal. 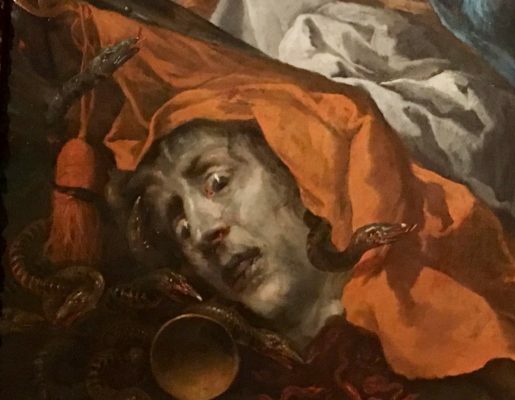 This incredible painting was commissioned as a reference work for Italian sculptor Lorenzo Bernini. He preferred to work from real life but who could complain about such a great reference painting? The bust was completed in 1636 and was greatly admired. 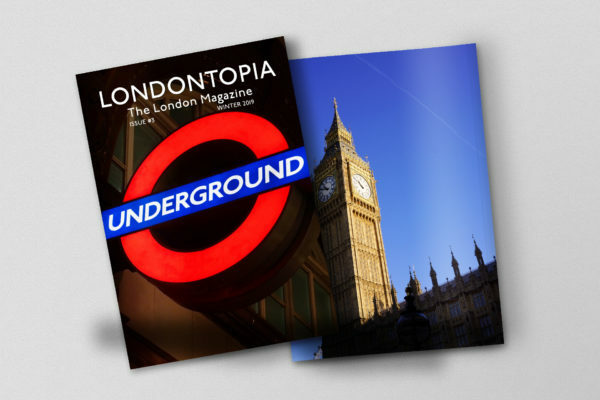 Sadly, it was destroyed in the fire at Whitehall Palace in 1698. Because of this, Bernini is not represented in this exhibition even though he was the greatest sculptor of the time. The painting remained in the possession of Bernini and his heirs until c.1802, when it was sold to British art dealer William Buchanan and returned to England. It was exhibited at the British Gallery in 1821, acquired for the Royal Collection in 1822 and is usually displayed at Windsor Castle. 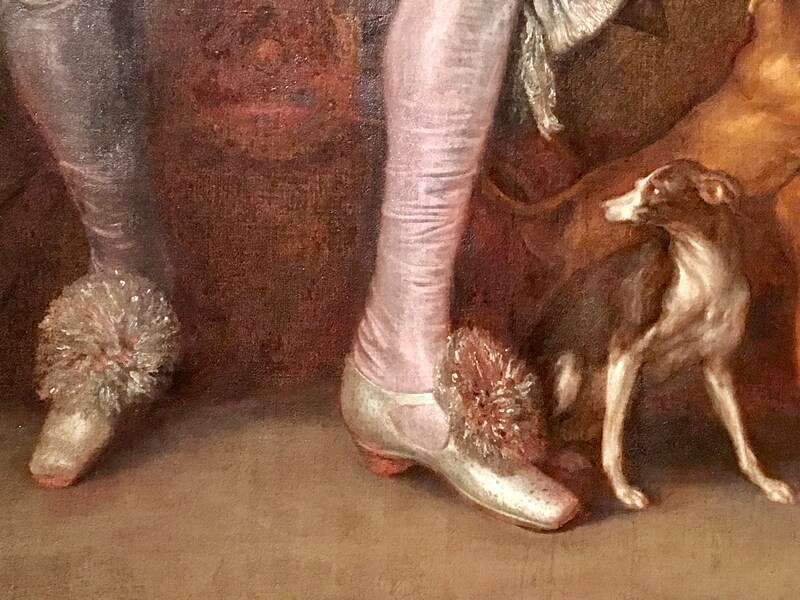 Many copies of the work were made, possibly by supporters of the royal House of Stuart, including one created around 1750 and now in the collection of the Victoria and Albert Museum in London. Anthony van Dyck is the protagonist behind this exhibition. His first visit to London was in 1620-21 when he painted Thomas Howard, 14th Earl of Arundel (and that painting is on display here). Van Dyck remained in touch with the English court and had helped King Charles’s agents in their search for pictures. Anthony van Dyck was appointed ‘principalle Paynter in Ordenarie to their Majesties’ in 1632. 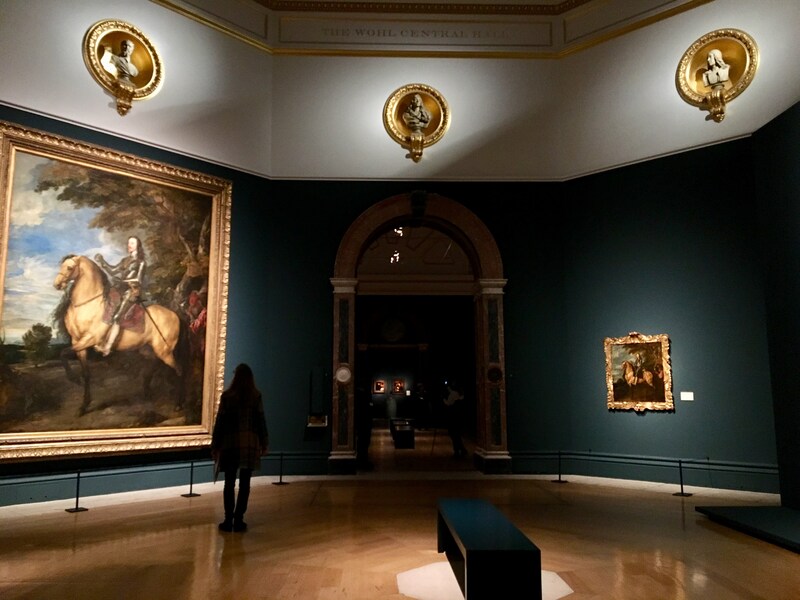 Another notable highlight in this gallery is a portrait by Peter Paul Rubens of George Villiers, Duke of Buckingham on horseback. It reminds us of the important the king placed on his allegiance. In 1623, two years prior to his ascension to the throne, Prince Charles visited Madrid. 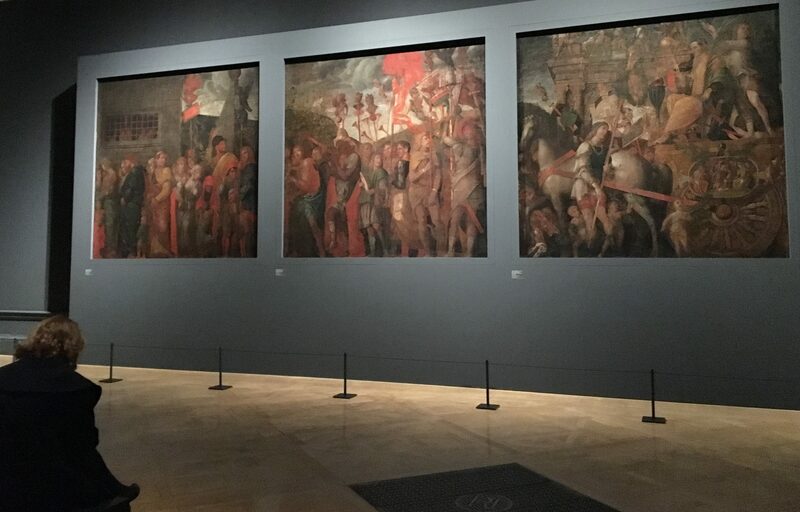 The Habsburg collection made a lasting impression on the future king and he returned to England with a number of works, including paintings by Titian and Veronese. Intent on creating his own collection that could rival those of the European courts, he bought the esteemed Gonzaga Collection which had been accumulated by the Dukes of Mantua. The second century AD Roman statue in the centre of the room was one of the most celebrated antiquities in the Gonzaga Collection. Aphrodite (‘The Crouching Venus’) was displayed at Greenwich Palace. 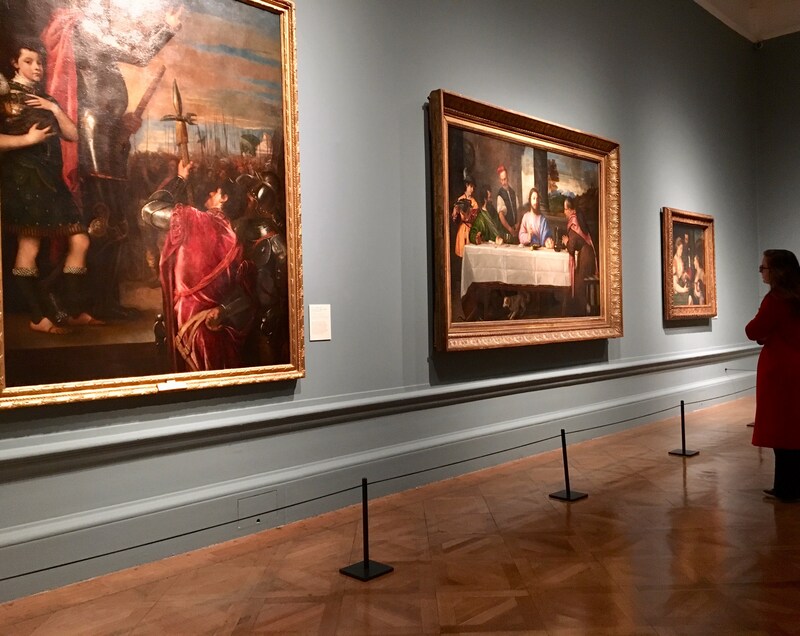 There are nine canvases in Andrea Mantegna’s The Triumph of Caesar, c.1484-92 (Royal Collection) and these large-scale works are displayed in a large dedicated gallery with central seats so you can sit and admire them with the distance required. 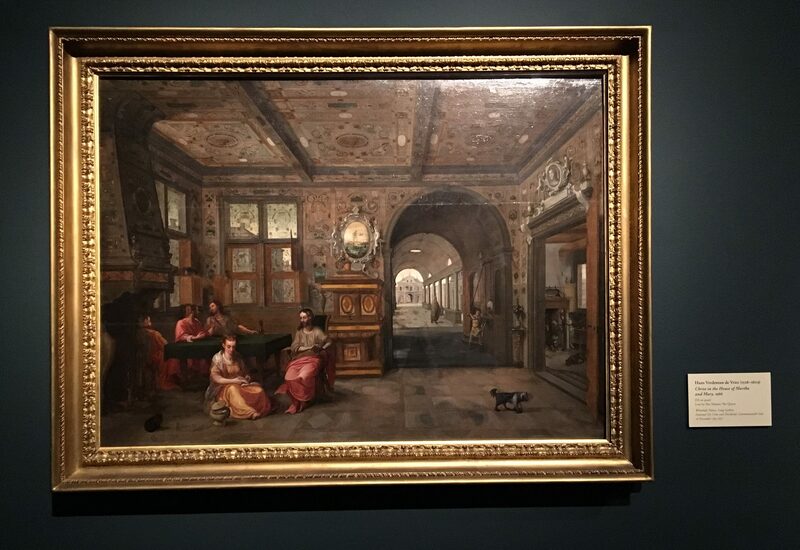 While a large painting of Adam and Eve takes centre-stage my stand-out painting in this room was Christ in the House of Martha and Mary, 1566 by Hans Vredeman de Vries, from the Royal Collection. Charles I bought 24 paintings by Jacopo Bassano and 3 are on display in Gallery 7. I spent some time admiring The Adoration of the Shepherds as there is so much going on in one scene. 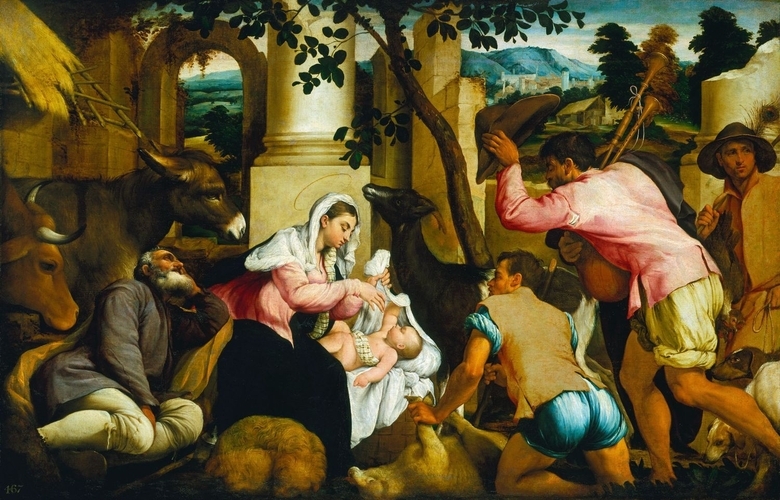 The Adoration of the Shepherds, 1546, Jacopo Bassano. (c) Royal Collection. 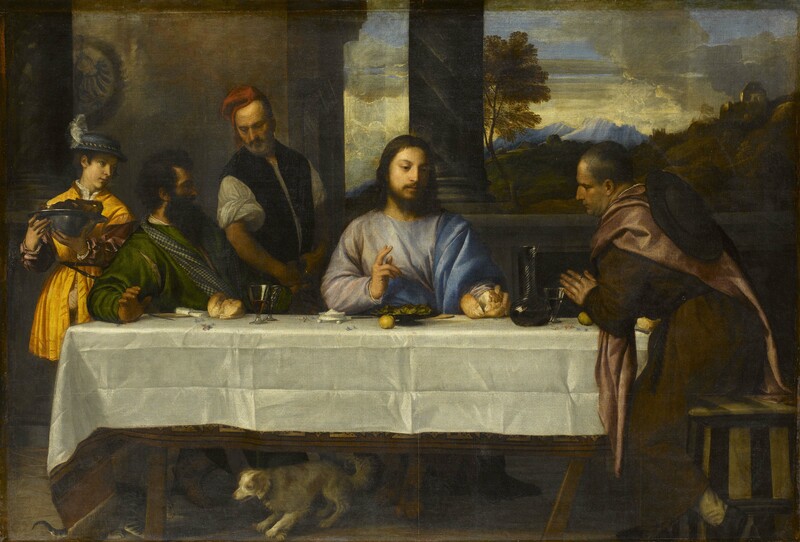 Titian’s The Supper at Emmaus is an allusion to Leonardo’s Last Supper. It shows Christ, following his Ressurection, revealing his identity to two of his disciples. 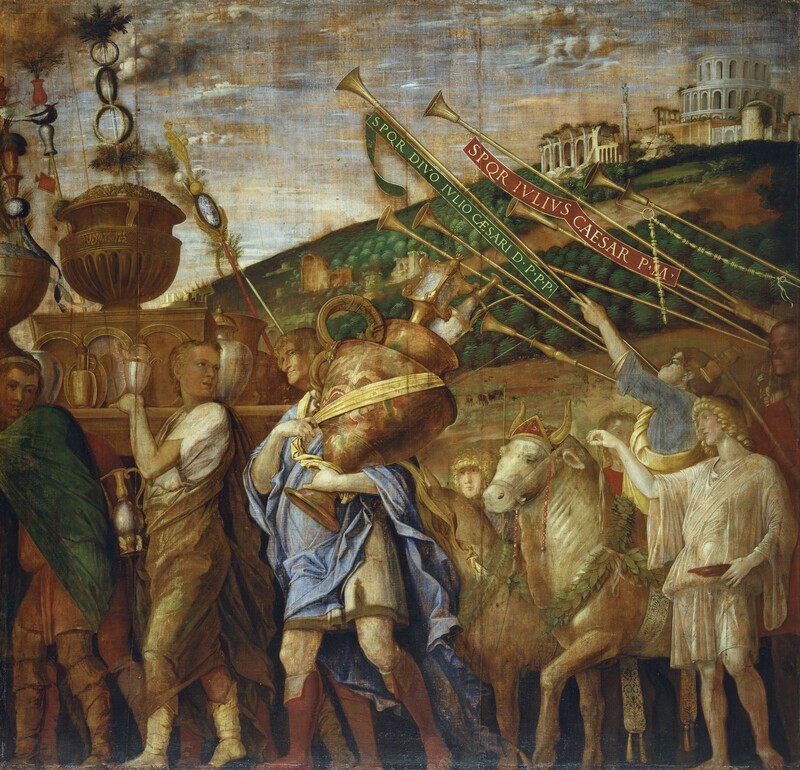 It was bought as part of the Gonzaga Collection and was the most highly valued work by Titian in the king’s collection. Anthony van Dyck’s monumental portraits of the king and his family forms the core of the exhibition. 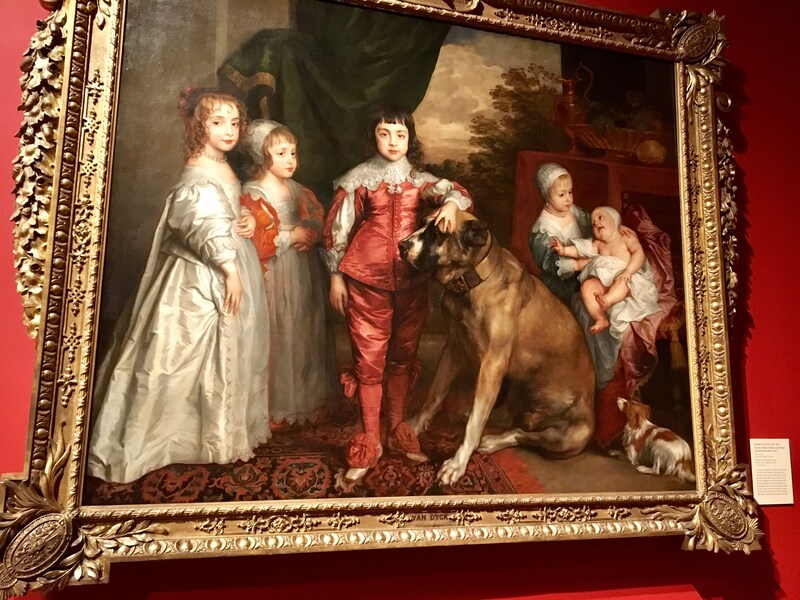 His first major commission upon his arrival in England, Charles I and Henrietta Maria with Prince Charles and Princess Mary (‘The Greate Peece’), 1632 (Royal Collection) was displayed in Whitehall Palace but can be admired here. Note how Charles is seated and in the foreground and his wife is also seated and slightly behind which helps him look taller. There are also some ‘crazy’ details in the paintings in this gallery so it’s worth taking your time. 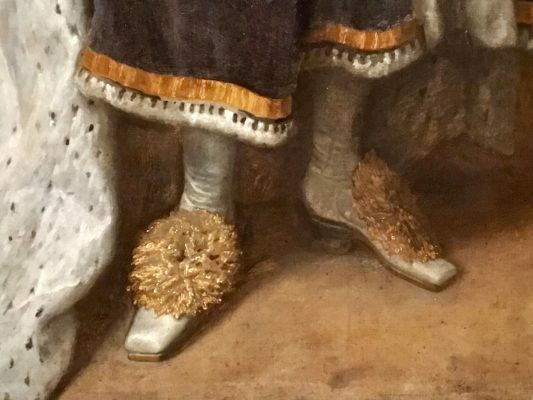 And, just as I loved the shoes in the Charles II paintings at the Queen’s Gallery, the shoes are were well worth noting here too. 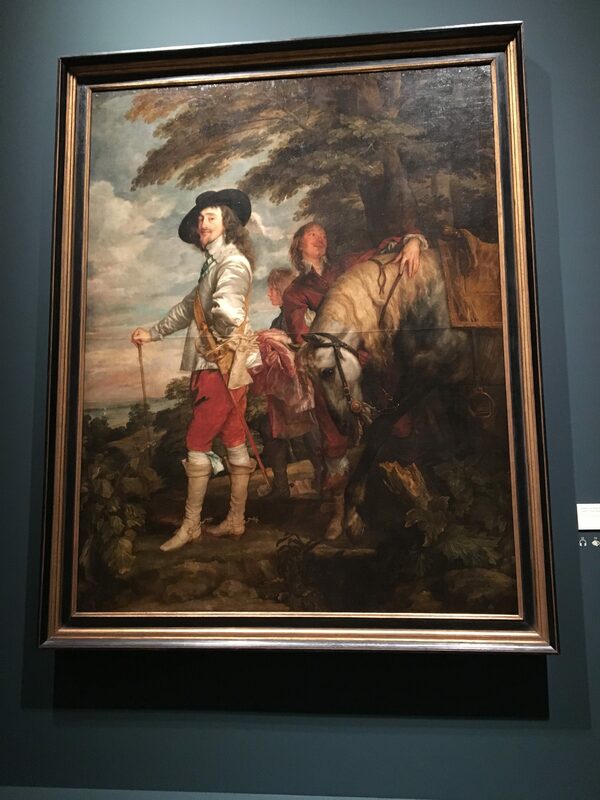 Anthony van Dyck’s two magnificent equestrian portraits, Charles I on Horseback with M. de St. Antoine, 1633 (Royal Collection), and Charles I on Horseback, 1637-38 (The National Gallery, London) are in the Central Hall; very alike except in size. 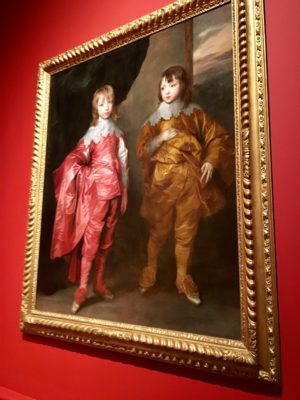 They are shown together with Van Dyck’s most celebrated portrait of the king, Charles I (‘Le Roi à la chasse’), c.1635 (Musée du Louvre, Paris), which has returned to England for the first time since the seventeenth century. 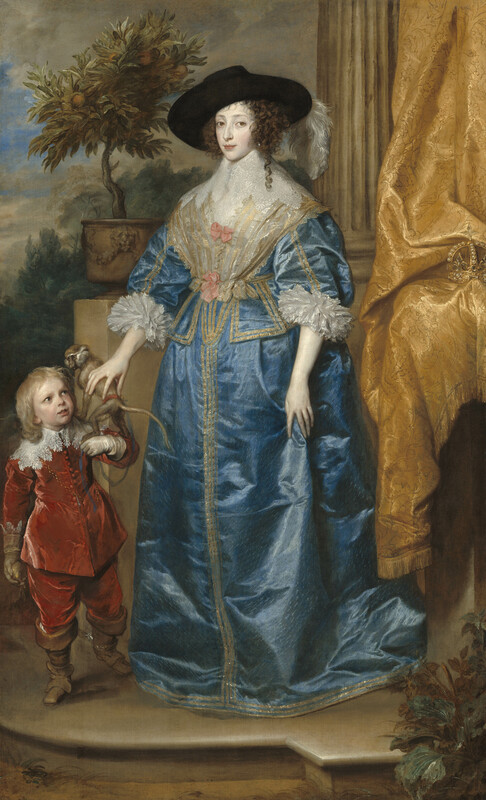 Henrietta Maria was 15 years old when she married Charles I. Having grown up in the French court, she had a strong interest in the arts and played an active role in shaping the royal collection in England. The Queen moved between numerous palaces. Henrietta Maria’s main residence was Somerset House, then known as Denmark House (after Charles’s mother Anne of Denmark). This collection was kept in a room at Whitehall Palace where Charles could escape from the world and indulge in a mixture of masterpieces and curiosities. There are medals and miniatures to admire. It’s always worth looking at the captions to find such gems as Witch Riding Backwards on a Goat, c. 1696-98 by Adam Elsheimer after Albrecht Dürer. 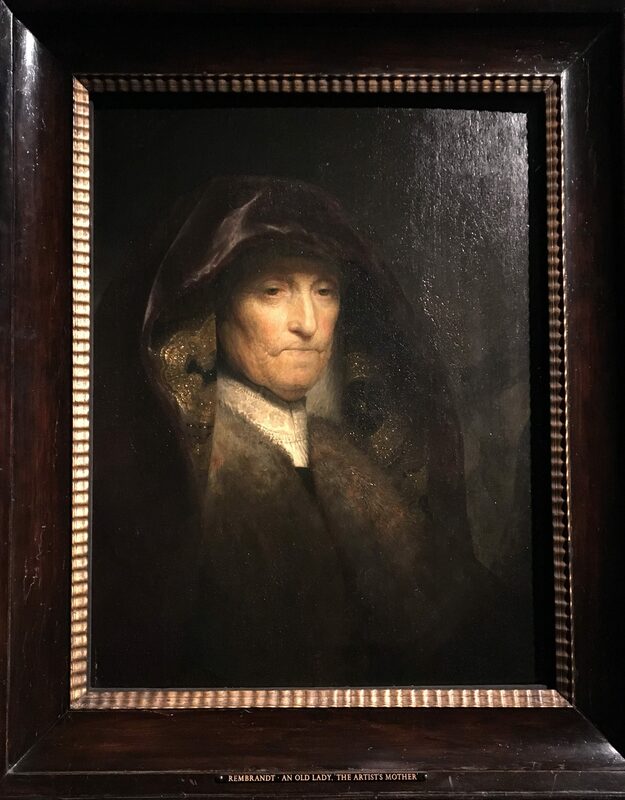 And exploring the smaller paintings I found this extraordinary portrait by Rembrandt of his mother. 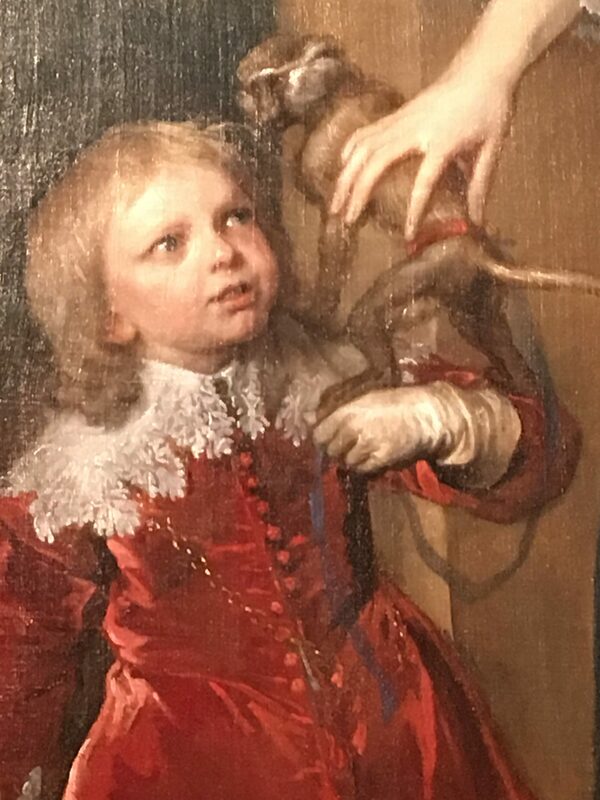 Not extraordinary because of the subject (Rembrandt often used his mother as a model) but because of the light that seemed to emanate from such a dark painting. 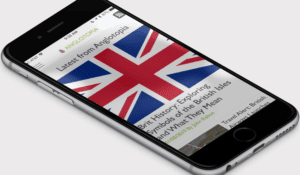 In 1619, James I established England’s finest tapestry workshop at Mortlake, near London. 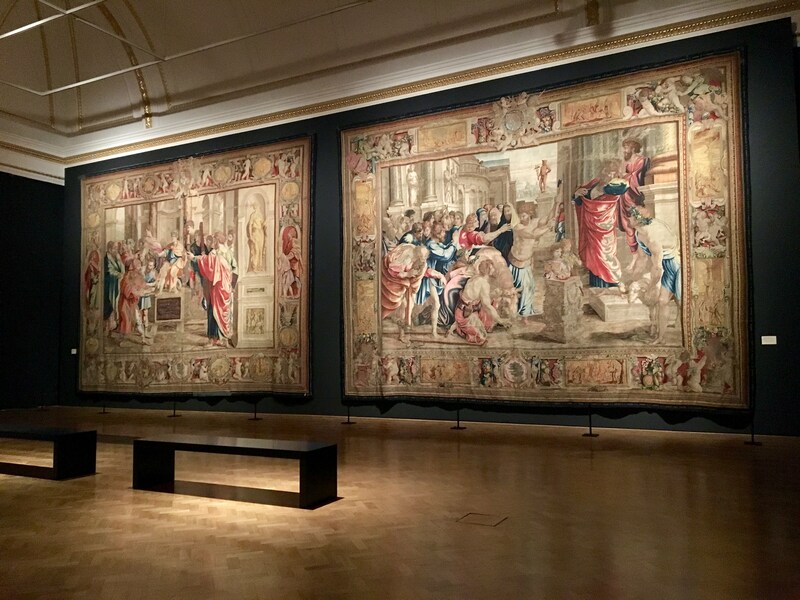 Four of the large-scale celebrated Mortlake tapestries of Raphael’s Acts of the Apostles, c.1631-40 (Mobilier National, Paris) are on display here. 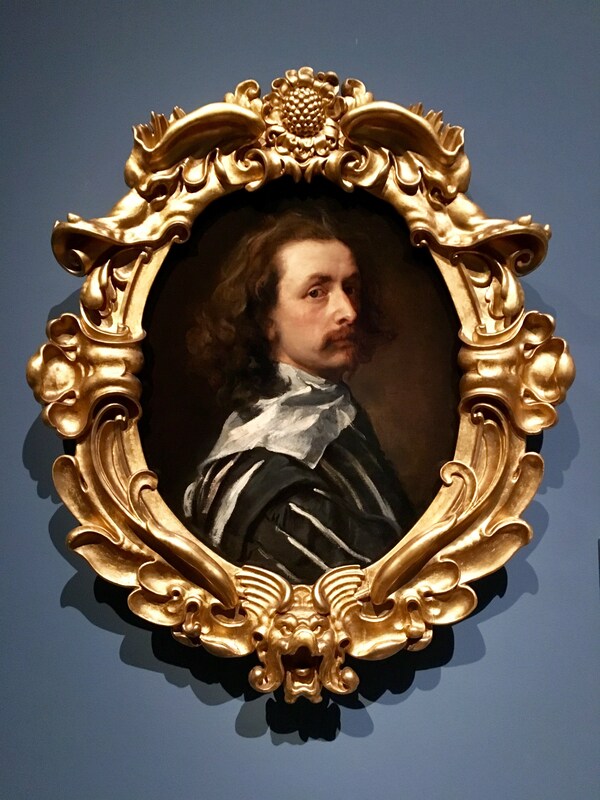 Do see the Anthony van Dyck self-portrait painted a year before his death in 1641. 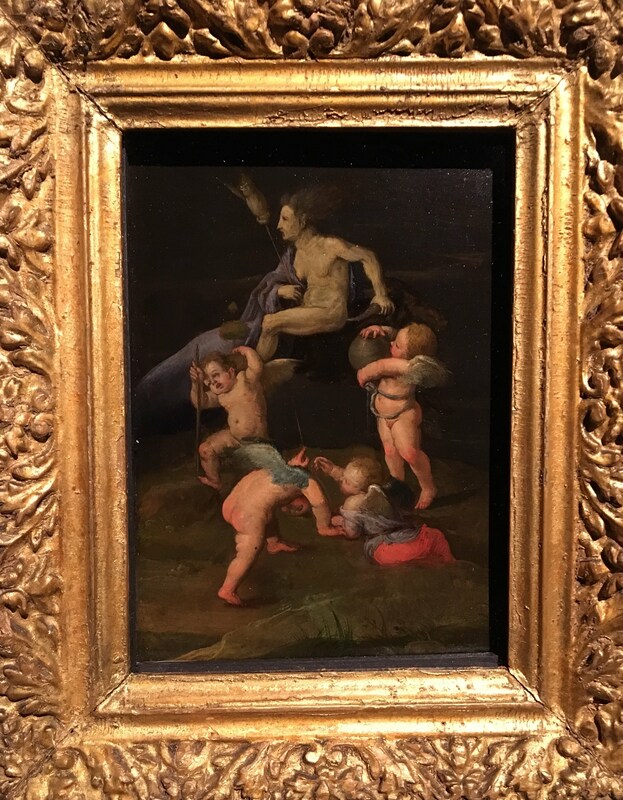 And in front of Cupid and Psyche there’s Van Dyck’s sketchbook that he carried on his European travels, open on a page with sketches of this glorious painting. I hadn’t been to the Royal Academy for ages and it was an absolute delight to return. This exhibition is a real treat as Charles I certainly knew how to build a formidable art collection. Tickets: £20 (without donation £18). Concessions available. Friends of the RA, and under 16s when with a fee-paying adult, go free. 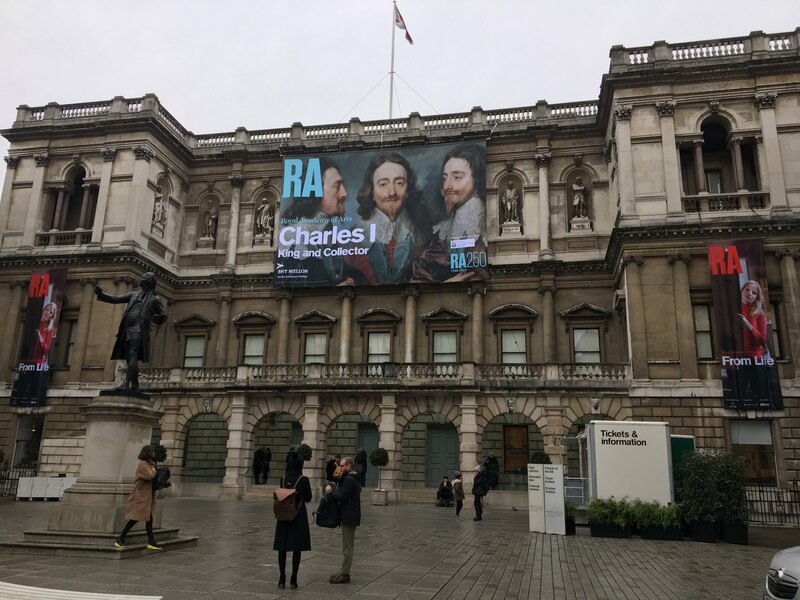 The Royal Collection has teamed up with the Royal Academy to offer a special ticket for both the Charles II: Art & Power exhibition at the Queen’s Gallery and the RA’s Charles I: King and Collector exhibition.